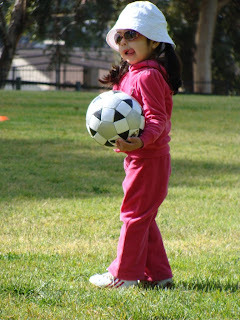 CC is enrolled in a soccer class on Saturday mornings. It is the first class that she has been able to take with Dad and they are both really enjoying it. Since the class is only for three to four year olds RJ is not able to join his sister, but we all go to the park anyway and make a fun family morning out of it. 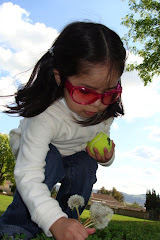 I usually try to keep RJ distracted and busy at the playground or watching other kids play basketball, another sport he would love to join but can’t yet=(. After unsuccessful attempts at joining CC and Dad for some soccer drills, he found something else to do today. He started lining up all of the scattered cones. 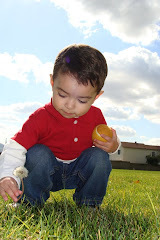 His own little Montessori inspired activity! 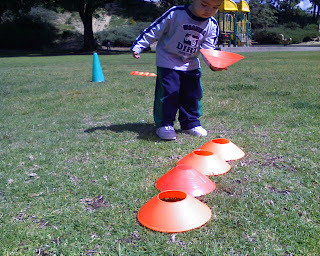 After organizing all of the short cones he moved on to the large cones. (Please excuse the video quality, it was taken with my phone). 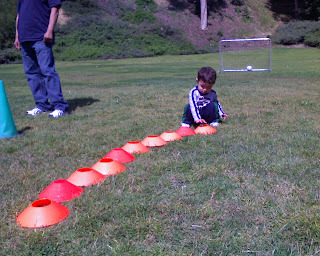 By the way, he continued organizing the cones but I ran out of memory on my phone. I wouldn't have guessed that RJ had the patience to complete something like this. I guess our Montessori activities are rubbing off on him after all! Enjoyed seeing the kids actually doing all their activities. It's like grandma's not missing out!